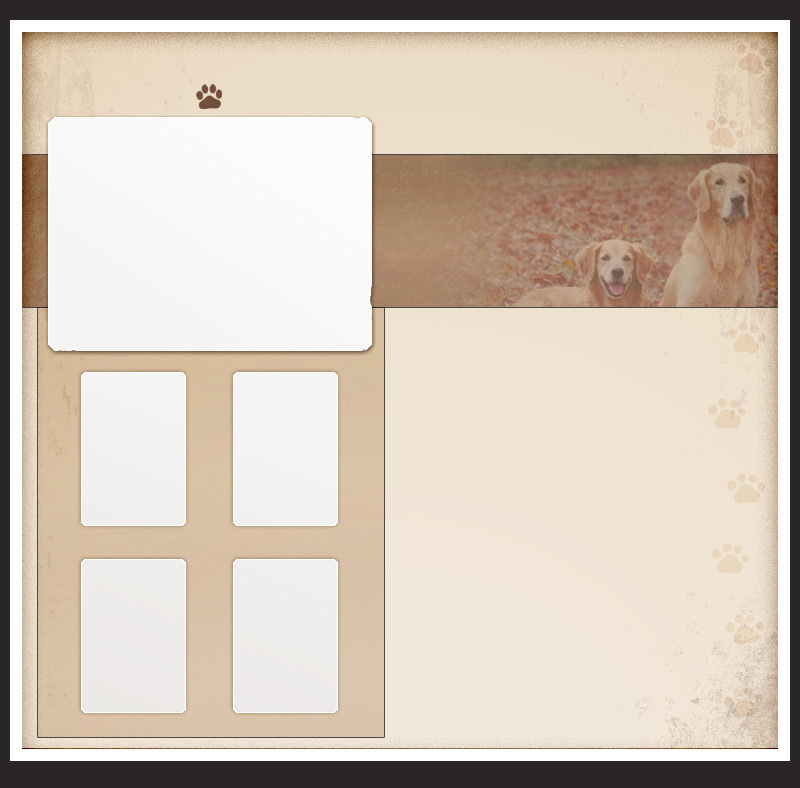 Available at stud to approved AKC females. 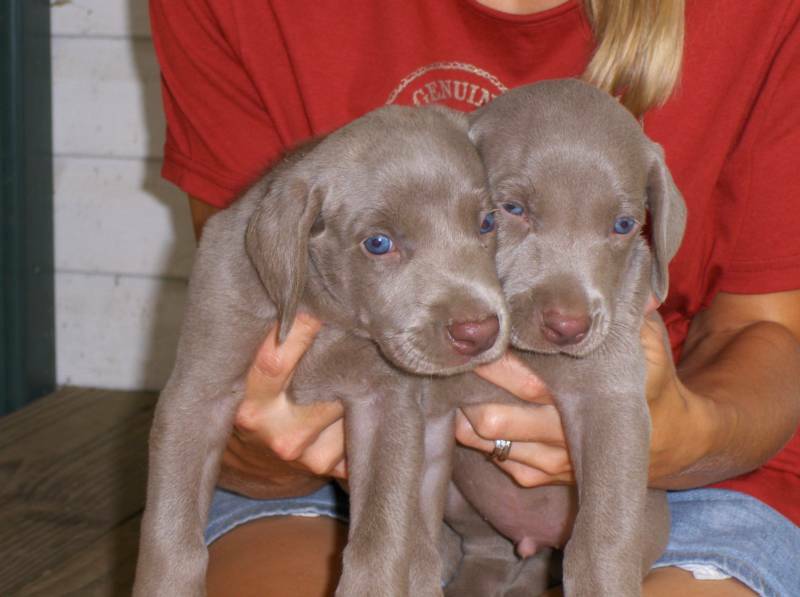 Chaos is an outstanding Weimaraner with beautiful conformation and a lovable personality. He is as sweet as they come, and is the complete package with fantastic lines and a you-can't-help-but fall-in-love temperment. Chaos is absolutely stunning, and he has produced fantastic puppies. 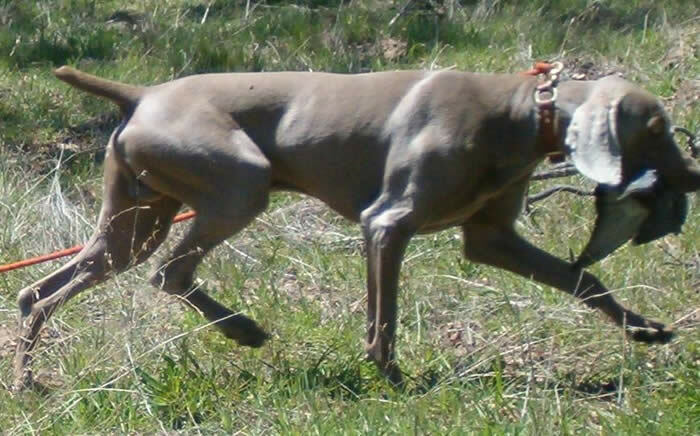 Biscuit is a true picture of the Weimaraner breed. She is highly intelligent, possesses a strong prey drive, and is loyal to her family. Biscuit is very active and is a speed demon. She loves going for a run, and on days that I can not keep up, she leads the way as I attempt to keep up on our 4-wheeler! Biscuit loves to swim, play, and go for car rides. Riley is a large female with an excellent attitude. Riley is happiest when she is by my side, whether we are out for a run or lounging on the porch. She is smart, extremely affectionate, and quite beautiful. Riley's sire, Titus, is a trained hunter, and Riley possesses a natural hunting ability.